Gov. Paul LePage answers a question from the audience during a town hall meeting at Central Maine Community College in Auburn in this October 2015 file photo. Officials at Deering High School are refuting Gov. Paul LePage’s recent assertion — made during a town hall meeting in Lewiston — that a student overdosed and was revived with an opioid rescue drug several times in one week. The governor told his story while attempting to defend his decision to veto a bill that would expand access to the overdose reversal drug naloxone, also known as Narcan. LePage has been a frequent critic of the drug, arguing that it enables addicts and normalizes their dependency by giving them a safety net. At the meeting Wednesday night, he tried to illustrate his point with a story about a junior at Deering. He told the audience that he could support the use of Narcan if someone given the shot would be taken directly to rehab afterward. Instead, he thinks the current approach is ineffective. “It will kill our society. And we’re gonna lose a whole generation,” he said. But Deering officials said the governor has his facts wrong. Ira Waltz, the school’s principal, said the incident never happened. In fact, he said, the school doesn’t even have access to Narcan. 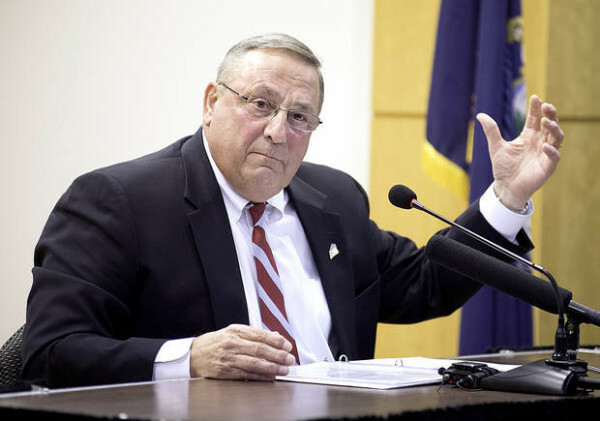 The governor’s press office did not respond to a request to explain whether LePage heard the story secondhand or if he had direct knowledge of it. But Waltz has a theory. Last summer, the governor attended a youth leadership event managed by the Portland Police Department. During the event, Waltz said, the topic of the heroin epidemic came up and a story was shared about an overdose in Deering Oaks. That’s a park, not a school. Waltz said he has contacted his supervisors to see if the governor can be convinced not to repeat the story. “They’re investigating this to get a sense of whether they’re going to call the spokeperson to say, ‘Please stop saying that because it isn’t true.’ I’m not sure what the next steps are,” he said. Legislators overwhelmingly overrode the governor’s veto of the Narcan bill. The governor has been on the defensive for his opposition to the drug. Doctors and treatment advocates have argued that, taken to its logical conclusion, the governor’s opposition to the potentially life-saving medicine effectively means that some addicts cannot, or should not, be saved.